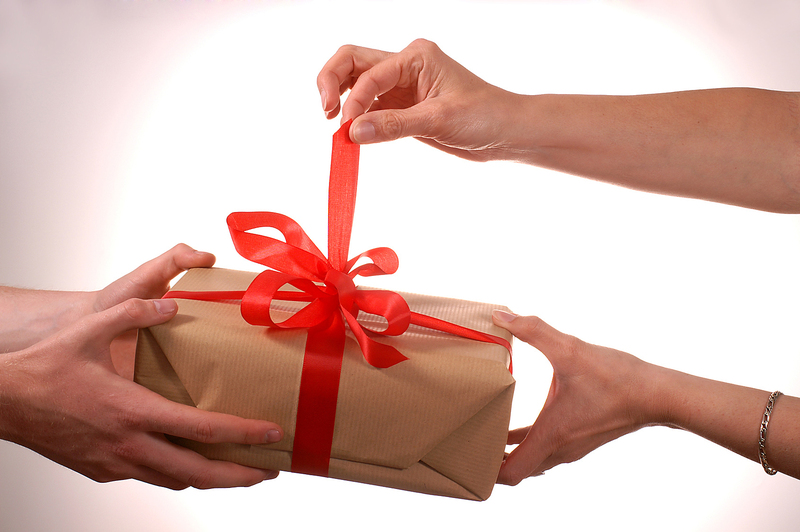 Most couples look for something unique yet useful as a gift for their wedding guests. One fun idea for your guests is wedding koozies. Most people drink something from a can and would use the item to keep their drink cold. Koozies also keep the cans from sweating all over so they are truly useful and fun. You can personalize these for your guests with a variety of colors, images, and text. This gift for your guests will bring you to mind each time they use it and they will think of your special day. Ordering your personalized koozies as gifts for your guests is as easy as browsing the internet and filling in your information. 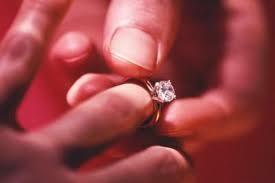 Several web sites offer can covers for your wedding. You will find custom can covers on Etsy where you can order from 25 to 500 of the 12 ounce covers that fit both cans and bottles. They are soft and collapsible so they fit into a pocket or purse. You have the choice of color for the cover as well as imprint color. They are imprinted on both sides. Colors for the koozie include royal blue, neon blue, lime, coral, mint, red, purple, maroon, and camo. Imprint colors include red, lime, yellow, gold, brown, black, gray, teal hot pink, and deep purple. The Discount Mugs web site has a variety of designs for custom koozies. They offer a variety of colors including pink, red, and blue. There are background designs that have geometric designs in various colors including pink, blue, white, yellow, and green. 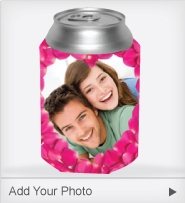 You have a choice of using clip art templates for your guests or adding a photo to the can covers. The Kustom Koozies web site offers both traditional foam koozies as well as the collapsible type. They have silver and gold metallic ink available. When you use any of the wedding art designs, you just fill in your names and the date to customize these cute wedding favors. The user friendly web site makes it simple for you to browse designs and place your order. 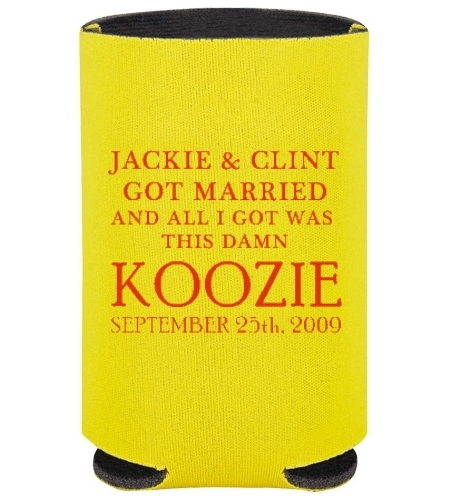 The Totally Wedding Koozies web site has a wide selection of can covers. They have theme designs that include rustic, nautical, beach, and retro. Contemporary designs include elegant, urban, modern, and monogram. Pattern designs as well as seasonal are available for can coolers. You are able to choose the color for the can cooler, the imprint you like, add your names and date, and a design for the second side. The Beau-coup web site has foam or neoprene koozies for weddings. You can choose from colors that include pink, neon green, plum, natural, burgundy, blue, dark teal, and orange. Icons include a heart, car with the words just married, a heart and doves, ring and band, double hearts, cupid, doves, and a wedding cake. You can also use your own custom artwork. Colors for the imprints include hot pink, black, green, gray, yellow, and gold. You decide on the layout you like as well as the font style for text. You will find collapsible can coolers on the My Wedding Reception Ideas web site. They have reinforced stitched seams and come in 21 colors that include neon blue, neon pink, neon green, pink camo, blue, brown, and real life camo. Designs include several varieties of hearts, rings, and roses. You can add a monogram and choose the font style. The can coolers include two-sided print at no extra cost. 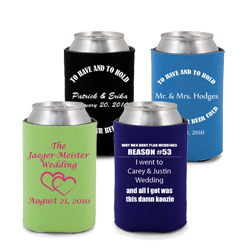 When you visit the Custom Link web site you can design koozies for your wedding guests. You pick the color from available colors that include white, blue, shades of pink, and shades of blue. You add the text and art you want on your personalized creation. One design allows you to add a color photo. They have can covers that fold as well as traditional foam can coolers. The Haymarket Designs web site has a variety of can coolers for both cans and bottles. Background designs include geometrical lines and shapes with colors that include blue, coral, yellow, and green. 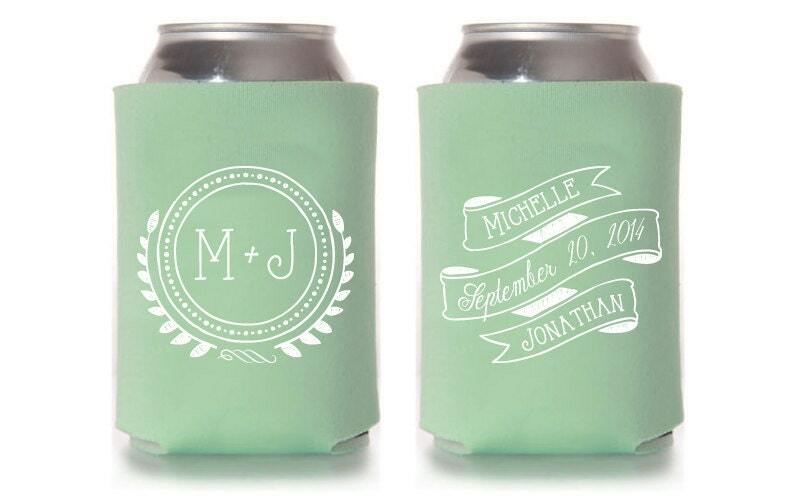 Add your names and the date of your wedding so your guests will think of you when they use their can cooler. 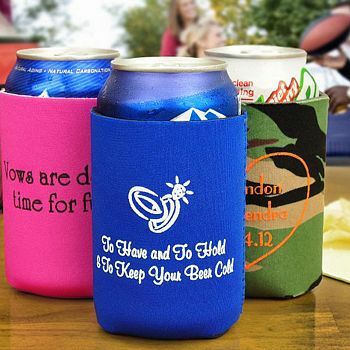 The company works with couples to create the ideal koozie for their needs. 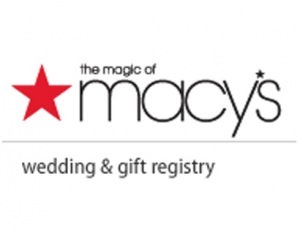 You email the company for the details on how to create your wedding favors. Use the Personalized Drinkware web site to design unique can coolers for your wedding guests. You can have imprints on the front, back, and bottom. They have an assortment of clip art that you can use in your design at no cost. Colors for the can covers include magenta, white, camo, blue, red, green, and pink. Imprint colors include black, white, silver metallic, shimmer gold, and cyan. The Monogram Express web site includes a variety of wedding items including koozies. Available koozie colors include red, navy, purple, white, gray, light pink, camo, and turquoise. Ink colors include white, chocolate, navy, hot pink, black, yellow, and purple. You have the choice of one color with an imprint on one side or one color with an imprint on two sides. Imprints include names and date. Orders from 50 to over 200 are available when you purchase from the web site.